It's that time of year again. When the summer is just about over and all the bikes hit the classifieds after another riding season. Strap in, I've got a few to highlight this afternoon! 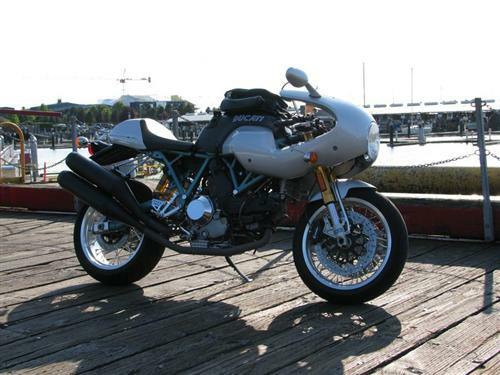 1 of only 200 'handbuilt in Italy' 1993 Ducati 888 SPO's imported to the USA! 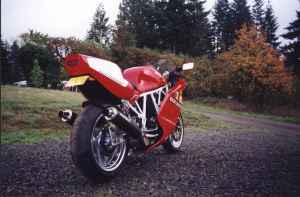 Ducati estimates that due to racing, accidents, thefts etc, that there are probably only 20+ of these rare bikes in exceptional condition exist now. This is one of the more affordable ones I've seen for sale really. And they're only going up. Someone should go check this out. 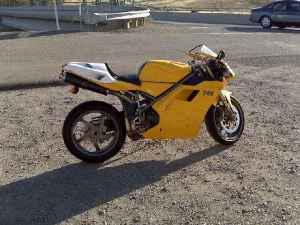 2000 Ducati 748R For Sale: Hello Hotness! 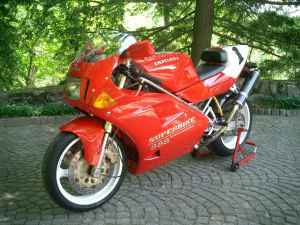 The top of the range model was now the 748R, Ducati's racing homogolation model produced only in very limited numbers. This engine was again a derivitve of the SPS model but with more tuning. The main difference is that the R model has an overhead shower-injector arrangement compared to the 748E and S model's traditional throttle bodies, titanium conrods, titanium valves and more extreme valve timing. 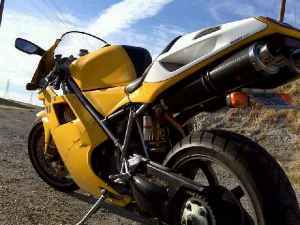 As such, the 748R has a larger, two-part airbox and thus the frame was also different to accommodate this. 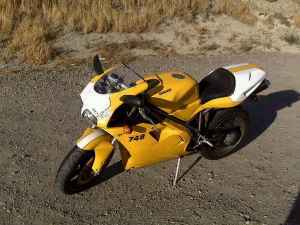 The suspension choice was Ohlins for both the rear shock and front forks, although the very first models in 2000 used Showa TiN front forks and a Showa shock absorber. The engine included a very basic slipper clutch to ensure that this would then be homogolated for use in racing and also an oil cooler. With specs like that, $8200 sounds like a bargain! I spotted this bike for sale on DesmoNorthwest. While not exactly what you'd call rare, they're definitely not commonplace either. 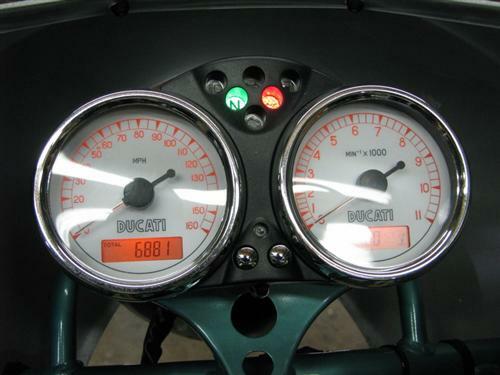 And for $9700 I think you do a lot worse if looking for something special. OK guys, I've got to trim the herd of bikes in the garage. You know you have too many bikes when you have to start bugging your kids to store your bikes in their garage. 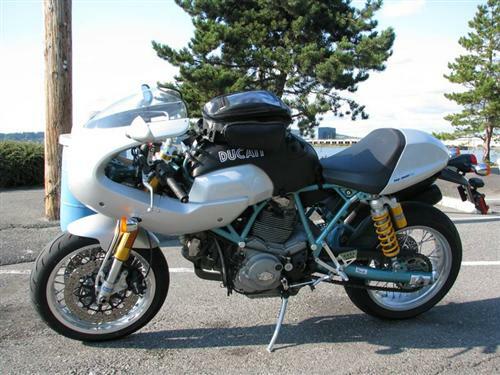 Up for sale now is the Ducati. This one is going to hurt. The bike resides just north of Seattle. This is probably the sexiest machine you'll ever wrap your legs around. The bike is basically stock.... because stock is pretty friggin' impressive. She's suspended with Ohlin's suspension and has a nice throaty growl from the stock exhaust. 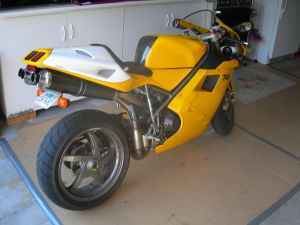 Here's a nice low miles Ducati 888 SPO for sale in California. 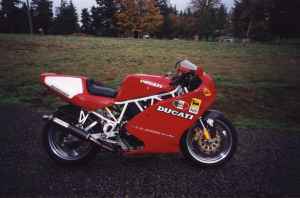 The 888 is final evolution of the 851 Superbike and is the precursor to legendary Ducati 916. 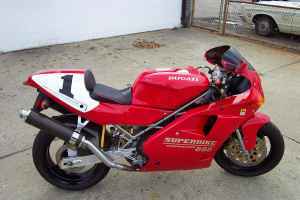 A very clean example of an early Superbike. Upgraded Renegade carbon exhaust cans, Goldline controls w/ CRG levers, white Marchesini wheels, clutch slave, Barnett clutch basket/ clutch plates, Speedymoto pressure plate. Only 9,400 miles. Always garaged and kept very clean. A beautiful bike to add to a your stable.